Throughout our lives my wife & I have built 4 other new homes. The great experience we have had at The Gables has far exceeded any other home we have built. We truly have been made to feel special by everyone involved in the project. 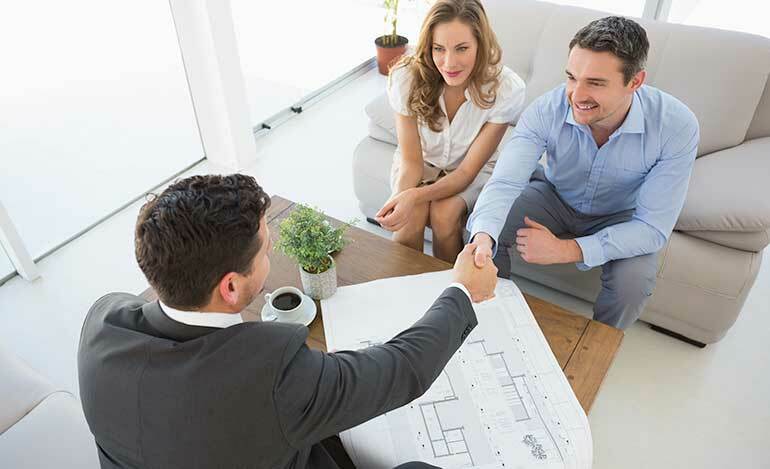 We have never had such a friendly and cooperative relationship with a home builder. The quality of not only the home but the people building the home, have made this the best home buying experience ever. Buying a new home is exciting and challenging. There are a lot of important decisions to be made from choosing the right builder, to right floor plan, to right upgrade options. We chose Renaissance Properties because of their reputation and their friendly staff. They were very helpful right from the beginning. They guided us through all the options and were very patient with us as we took our time to make our decision. From our very first visit to their model home at Hidden Pond, we were very comfortable with Jennifer who provided us with detailed information about the community, various floor plans, and the new home construction process. As we explored and reviewed various models and floor plans to decide what would fit our family’s needs, we had a lot of questions. We reached out to Jennifer and Cheryl with phone calls and emails asking for information on costs, upgrade options, customization options, and more, and we are so glad to say that, with their help, we were able to make the right decision for our family. Stephanie Palladino, age 34, and her husband, Michael, age 36, had long been searching for new construction in New Jersey. With two young girls between the ages of five and seven, they knew they needed a family friendly environment and a home that would satisfy their children’s needs. 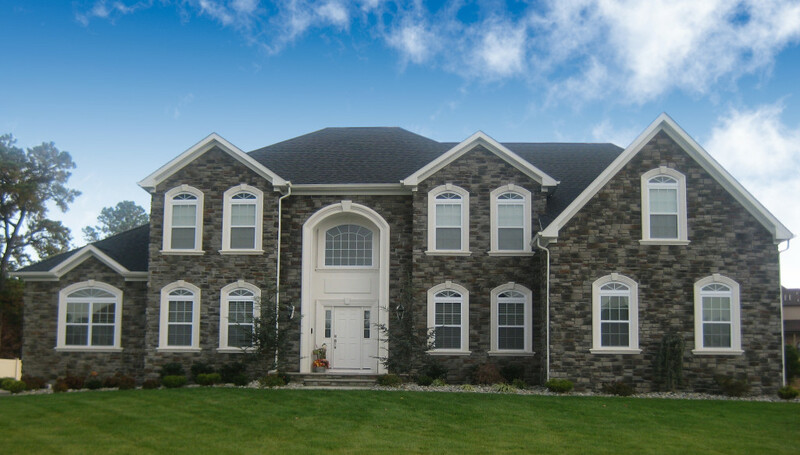 After considering different homes in nearby towns, Stephanie and Michael came across Renaissance Properties’ luxury single-home community, Dynasty Estates, in Monroe, NJ. They found Dynasty Estates to be the perfect fit for their growing family. We wanted a house that was conducive to our lifestyle and that would accommodate our family not only now but as our children grow,” said Mrs. Palladino. “We wanted a large kitchen and dining room; we also wanted an extra room on the first floor for a playroom for our children.” As the Palladinos went through the home buying process, they were certain this was the right house for their family. An upscale community consisting of 160 homes situated on home sites that are half an acre and larger, Dynasty Estates offers six different models ranging in size from 2,860 square feet to over 5,000 square feet, each with multiple elevations to choose from. Buyers can also choose from models that feature traditional front porches, as well as models with stately full brick fronts providing options to accommodate any lifestyle and to suit different tastes. All models offer four to five bedrooms, 2-½ to 3-½ bathrooms, and standard two-car side-entry garages. Constructed with quality materials, the models boast energy efficient features and can easily be customized to meet the buyer’s needs with an extensive range of available design and upgrade options. With only a handful of lots remaining, each of which is among the most desirable at the community, the time to buy is now. With a stunning entrance at the intersection of Avenue K and Dynasty Drive, Dynasty Estates is situated in Monroe Township, an ideal location known for its tree-lined streets and country charm. In addition to its classic, suburban ambiance, Monroe offers an excellent Blue Ribbon school district, outstanding recreational opportunities and the lowest tax rate in Middlesex County. In close proximity to major roadways, Monroe is a short drive away from quality entertainment options in Princeton, Freehold, and the Jersey Shore. For more information on Dynasty Estates, and to learn about current offers and incentives, interested buyers are encouraged to contact the sales office at (609) 918-9600, visit renaissanceprop.com, or find us on Facebook at facebook.com/RenaissancePropertiesInc. We love our townhouse at The Gables. The floor plan is fabulous, the finishes are beautiful. Renaissance offered us so many options. They are wonderful to work with. A great community with a lovely community center. Buying our first home at The Gables has been a good experience from the start. When we first started looking for a home in Monroe this was the first property we looked at. We continued to look but nothing compared to The Gables models, it had everything we were looking for starting with the great sales staff. They were warm and inviting and we still feel the same way about them now that we have purchased our home. Whenever we called or emailed with questions, I was always answered in a timely manner and the staff has been nothing but professional and never made me feel like I was asking too many questions. I feel that we lucked out buying our home at The Gables because so far everything has gone smoothly and has made buying our dream home an enjoyable experience, we can’t wait to move in. We wanted you to know how thrilled we are with the entire buying experience. Renaissance has been GREAT! Our primary residence is out-of-state, so we were concerned about the process and the support we would get before, and especially after, the sale. You guys have been nothing short of FANTASTIC. The salesperson was professional and helpful, never pushy. Renaissance did everything promised to get the home ready and closed on time. The few items that needed touch up after closing, are being handled with care and consideration for our time and availability. Truthfully, I can’t think of anything more you could have done to make this entire process better. Thanks so Much! This house is our first house by Renaissance, but second house that we built. Renaissance Properties has exceeded our expectations. Once the house was built we weren’t set aside. The follow-up and execution of the punch-list was not only complete but very timely. After living in this development for 5 years, I still do not feel set aside. Renaissance continues to answer warranty and typical home owner questions, that another developer may just brush off. We are very happy here, we have made a great decision buying with Renaissance. Great Job!